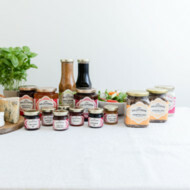 We are proud to offer you an extended range of our Cornish Gifts and Hampers to suit every occasion - and every pocket. 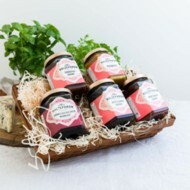 A super set of our delicously moreish Crackers & super Chutney! 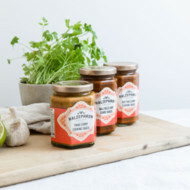 A delicious selection of our fantastic curry sauces including our newest addition - Halz's Bells curry sauce made with the infamous Scotch Bonnet Peppers! 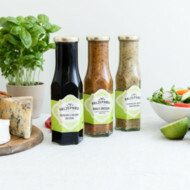 Choose any three of Halzephron's great dressings. Presented as a gift set. 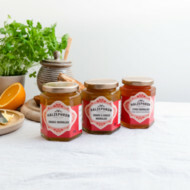 Choose any three of our marvellous Jams and Marmalades to be proffesionally gift wrapped, creating the perfect gift. 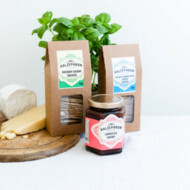 If you are a lover of cheese and cold meats, this is the hamper for you! 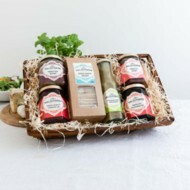 We've hand picked our 'Super' healthy produts for this super hamper. 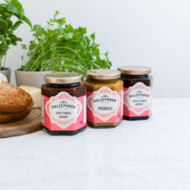 All the items are lovingly low in bad fats and high in protein and iron (snacking seeds), although we have included a little bit of natural honey to tame your sweet tooth in a healthy way. 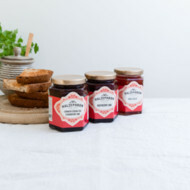 This oh so Sweet hamper is packed full of our delicious, handmade Jam and Marmalade. The best of the best - Our Deluxe hamper is full of our more luxury products. 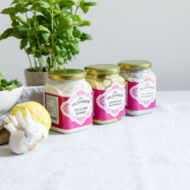 We have carefully hand picked products we feel can be used to create more gourmet dishes. 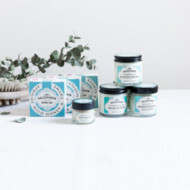 This super hamper contains all of our favourite and top selling products. The perfect gift for those new to our range. The perfect hamper for someone who deserves to be spoilt rotten! 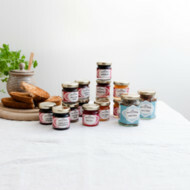 The Super Sampler hamper contains 13 mini pots which is our complete range of Chutneys, Jams & Marmaldaes. 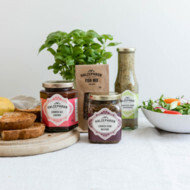 This super hamper enables the lucky recipient to 'sample' all the fantactic products included, a fun and easy way to descover their favourites! 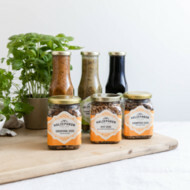 Also inculded are two of our best selling store cupboard essentials - Lemon Pepper and Chilli Flakes. Both perfect to sprinkle onto steak and veg before cooking, giving them either a fiery zest or chilli kick. Choose any three of Halzephron's dreamy mayonnaises. Presented as a gift set. 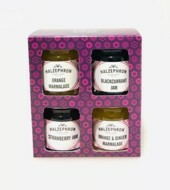 A delightful gift box encasing four of our best selling chutneys. 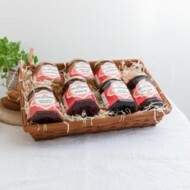 A delightful gift box encasing four of our best selling jams and marmalades. 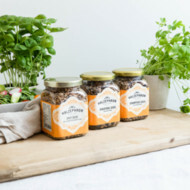 A super gift comtaining our fabulous Snacking Seeds - One jar of each flavour included.